Hello everyone! 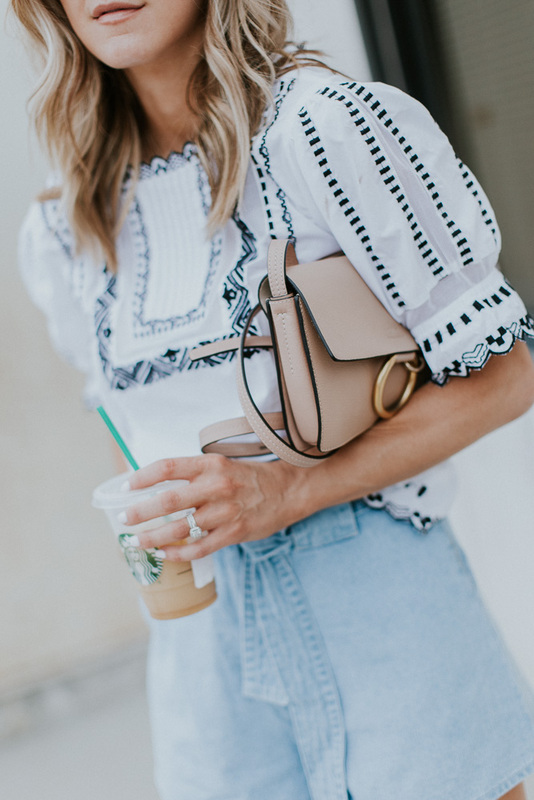 Sharing this amazing embroidered top today! I am obsessed with all the details from the sheer paneling, the monochrome embroidery, and the puff sleeve. This top is definitely a favorite for summer! This top can be dressed up with a pencil skirt or pair of trousers. I wore it the other day with my pink wide-leg trousers. I loved how the pink paired with the black and white. For a more casual look, wear it with shorts or jean skirt. I love how it pairs with these high-waisted tie shorts. I love how this top mixes retro with a totally modern style. The blue and white looks fresh and crisp for warm summer days – great look! I just ordered the shirt and the shorts, you are speaking to me! <3 xo. Hi! 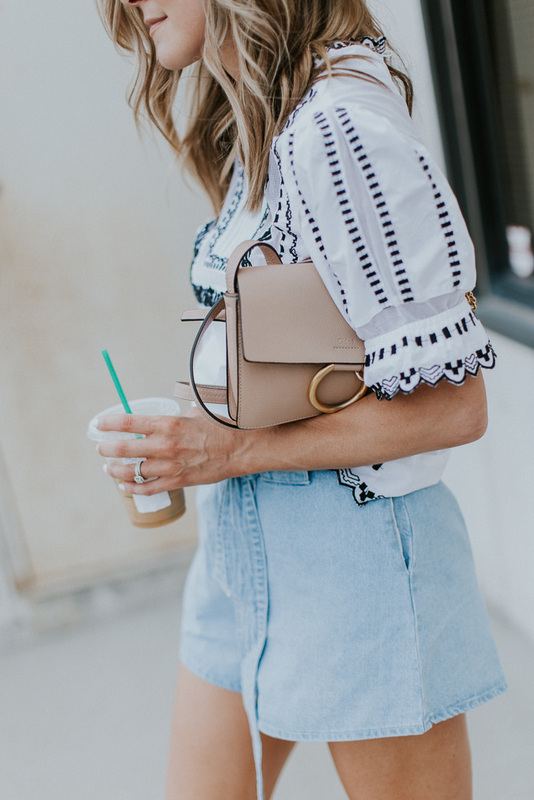 LOVE this look, what size of shorts did you get? Trying to decided between S or XS.